Choose any 2 parents, and see their baby. See your future baby now! Predict what your baby will look like. Pick any two parents, and see their baby. 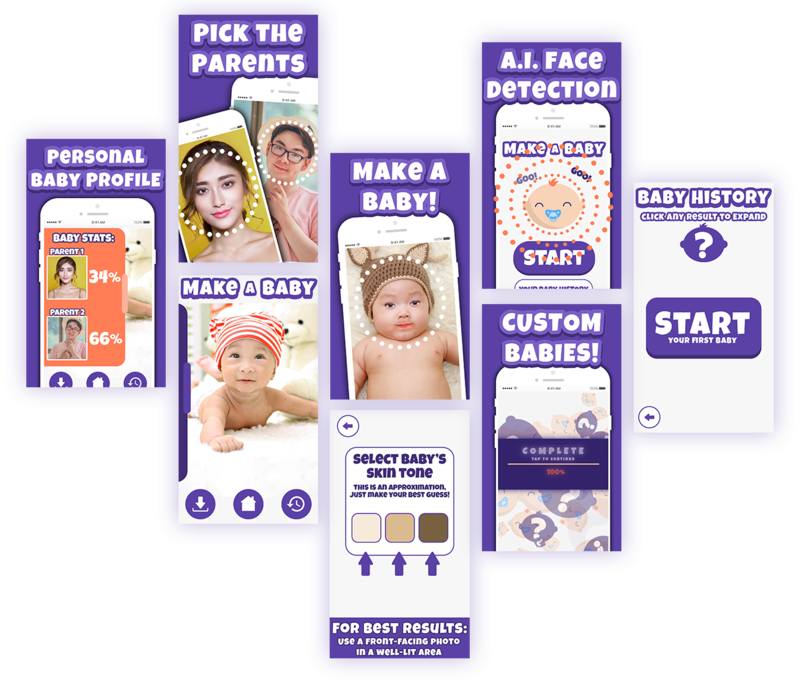 Make A Baby Booth analyzes the facial characteristics of the selected parents to predict a baby using the parents' features. Try it with your boyfriend, girlfriend, husband, wife, or friends! Create personalized, unique babies every time: Make a Baby uses facial blending to predict hilariously accurate baby faces. Make A Baby now and see your own future baby. 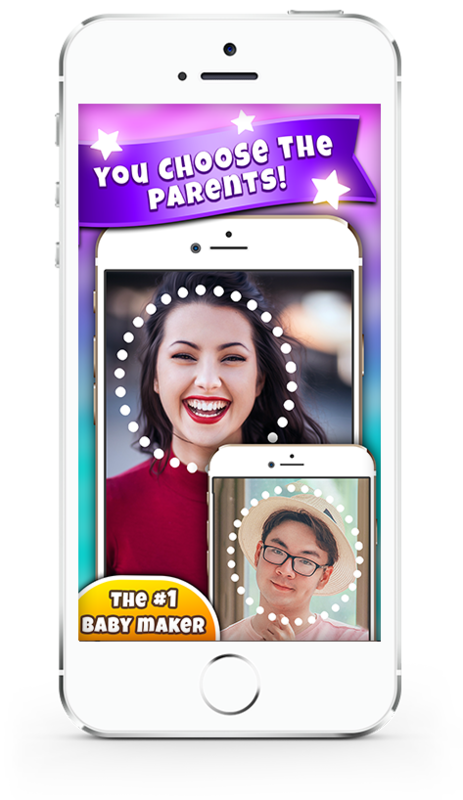 Start by uploading or taking new pictures that act as your baby's "parents"
- Create unlimited, ad-free babies with the new Unlimited mode! You can use your favorite pics of you and your friends, celebrities, or even some crazier combinations! With Make A Baby, the baby you make is at YOUR command. Combine wacky, hilarious photos to create funny baby results! Make A Baby Booth provides the best and most accurate results when used with a front-facing and well-lit photo. Compatible with iOS 10.3 and up. It's time to create some hilariously cute baby combinations, so get out there and make some babies!